The brand's newest (and biggest) SUV looks strikingly similar to the concept. Audi released the new Q8 concept recently at the Detroit Auto Show, foreshadowing the future flagship SUV's arrival. 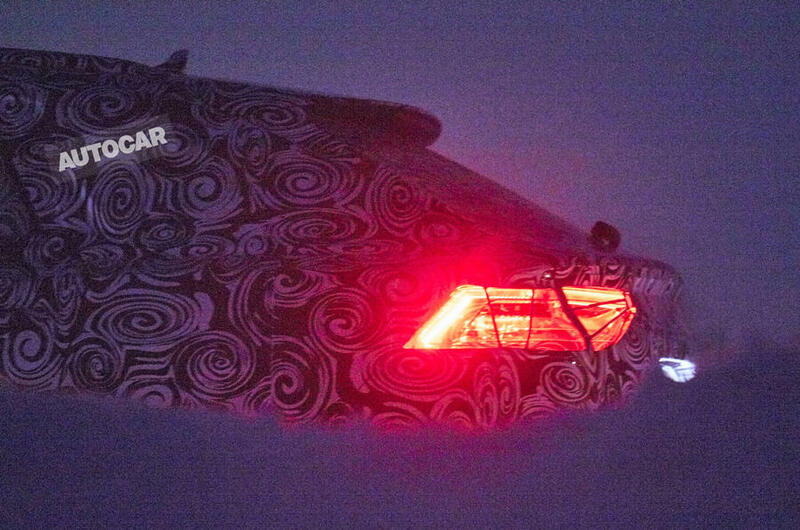 We've been told that the production model will look quite a bit like the show car from NAIAS 2017, and these camouflaged photos courtesy of Autocar seem to back that statement up. 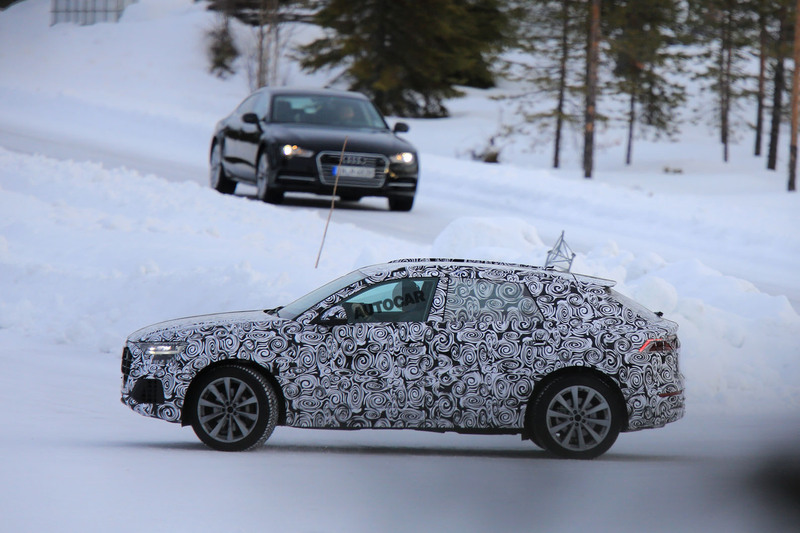 This prototype was spotted testing in the Arctic Circle, testing out the ever-famous Quattro all wheel drive. Styling will be key for the Audi as aesthetics are certainly important to the demographic. The company's range-topping model looks like it will feature a slope-back roof reminiscent of coupe body lines, embodying the Q8's sporty spirit. LED lighting all the way around shows that this is an upper level trim, displaying that signature which Audi has gotten so good with as of late. Sharp edges and stunning angles speak well for the Q8, reminding you that this isn't just a touted up VW. What we see here is similar to the rendering we saw prior to the concept's release. The Q8 will feature a myriad of powertrain options as well. TDI engines will be available across the pond with gasoline choices being the staple in the US. 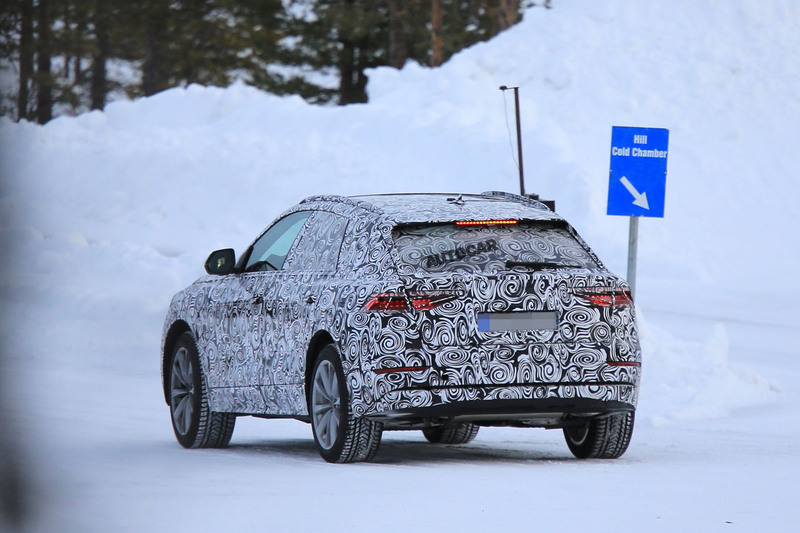 Electric turbocharging is rumored to be introduced to the Q8, taking advantage of the new 48V electrical system that powers all of the SUV's tech goodies. A plug-in hybrid model, which is being co-developed with Porsche, will arrive later. It is rumored to feature 31 miles of all-electric range, an impressive number for such a large auto. With the Q8, Audi expands their new SUV lineup to a substantial 7 models. It will join the a host of fresh and revised "Q" large vehicles that keep Audi at the front of luxury and utility. This plan has worked out well for the company, leading to increased sales across the board. The Audi's main competitors will be the Range Rover Sport Coupé and BMW X6. These have both led the large luxo-SUV category for awhile now, and now that the Q8 steps up above the Q7 model, it will put Audi right in the running. It's all new and innovative powertrain and convenience technology will push the Q8 forward in the race, giving them a possible edge over the other two. It's set to release soon in 2018, so details should start to surface soon.